I'm still a bit shocked 2017 is already here! But ready or not, here we go! The kiddos are back to school today and our two weeks of vacation are officially over. My mom told me about this product (thank you, Mom!) because she knows I like all our ground meat-really chopped up. Do you guys know what I'm talking about? Sometimes if you're not careful you get big chunks of meat. Not my favorite. Anyway, I headed to Williams Sonoma right after our conversation and grabbed this $11 meat chopper. It makes browning any ground meat SO MUCH EASIER! Enough that I remembered this from almost a year ago when this blog topic came to mind! I remember asking for a vacuum cleaner for Christmas when I was in college and thinking that I'd officially hit adulthood when that's the gift I really want. Well, I feel like I'm there again...favorite product a ground meat chopper! hahaha! I shared this product more recently, so some of you might have tried it. 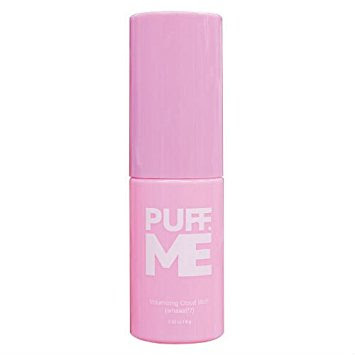 This Puff Me is a "volumizing cloud mist". Amazon also says it's a "spray powder maximizer". I would never use this product on day one hair. (I like to keep the day one hair really clean.) When you spray it, you can really feel the product in your hair. It's that product that gives you the extra volume. I have been rocking this on days two through four though. So far for me, I've found it washes out super well. At kindergarten splash day earlier this year another mom had this Seawag phone cover over her phone. Someone asked about it and we all were immediately intrigued. Keep in mind every other mom's cell phone was in the building to keep it from getting wet and ruined. I ordered this instantly for our trip to Mexico and it worked like a CHARM! We spent one entire day at a natural waterpark with Tab's phone in this case in his swim suit zipped pocket. Tab and I have different IPhones but it fit both of them well. 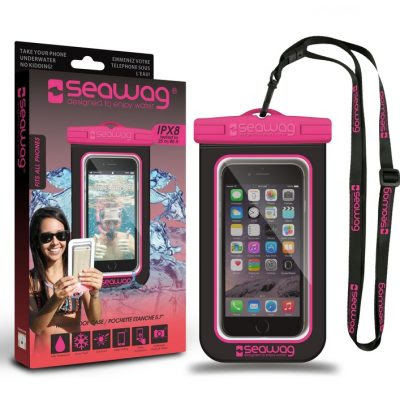 You can use the phone while it's in the case so you can take pictures or videos under water. My kids thought this feature was a lot of fun. If you're headed to the beach this summer, I'd highly recommend this phone cover! *Although I'm not adding these booties to this list, I want to make sure you saw these cute Jessica Simpson booties are 45% off!! GREAT deal! I got them at the end of summer and have been wearing them all the time! What would you add to your favorite products list? I LOVE trying new products for the kitchen, beauty, or anything in between and would love to try it! Have a great day, friends! I would love to try the meat chopper. Little things like this can make your life so much easier! I am totally ordering that Seawag cover!!! I need it! Isn't that funny? But so true!! Yeah, I need that meat chopper in a big way! And people need your fringe booties! What a great deal! Going on a cruise and that seawag cover would be great! Thank you for the recommendation! I should have given that to your for your birthday!! Absolutely, it'd be perfect for a cruise. Buying that cover stat: we need it for the beach! So fun! 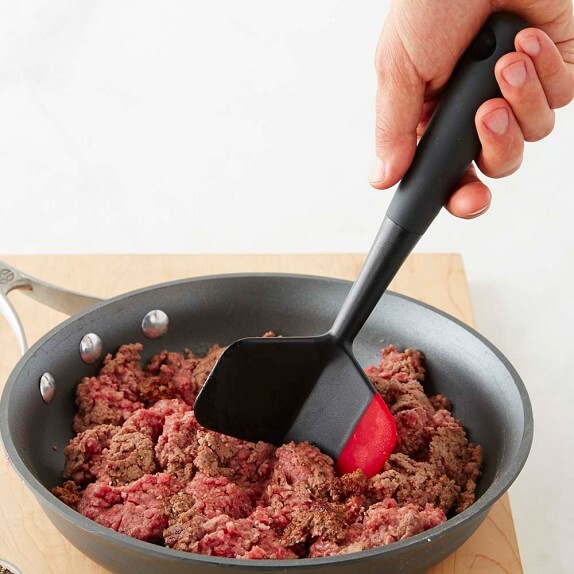 I have been telling everyone in my life about the ground meat chopper for years! Maybe that's weird??? But I love it. We have several of those phone covers and they are great for the pool. Great recommendations! I am getting that case ASAP! I think my mom's is Pampered Chef too. It makes dinner time easier! I have a layered bob and I found my holy grail of products too. Thanks for sharing the phone cover again! I want to make sure to get one for our cruise! I have 2/3 things you recommended. Good choices! Here's my latest favorite product~ a 10 ft iPhone charger. I bought every one in my family one for Christmas. I got white but I see it's sold out now. There are other brands but this is the one I got. I need to check it out! Will it work with long hair? You're gonna love it for the cruise. You can take all the pictures and not worry about it ruining anything. You're so welcome. :) Let me know what you think. I can understand why this is a favorite. From my bed I can't reach my phone if it's plugged in! I need this! I have that meat chopper from Pampered Chef and let me tell you....it is life changing!!!! Puff Me is on it's way to me, I ran across it on facebook a couple months ago and now I am not only addicted to Puff Me, I am also addicted to Younique Make-Up. Social Media is not friendly to my wallet. That cell phone bag is a must!! I'm dying right now! Over Christmas break, my hubby informed me that his BIGGEST pet peeve is hearing me chop the ground beef when I'm frying it. (I might go crazy with the chopping because it must be really, really finely chopped. Absolutely no big chunks!) ;) I'm ordering that chopper! I think he'll appreciate it even more than I will!! Thanks for sharing! I have the that charger as well- Life changing! Haha you definitely need it! And I NEED that phone case asap! These are great gift ideas too! I like my meat super ground up too :) And I asked for a vacuum cleaner this year for Christmas #loser #butiloveit I'll have to look into that phone water case. Just bought that case for our summer trip to Costa Rica!! thanks so much for the post! That phone case is soooo cool!!!! Meat choppers are the best! I've had the one from Pampered Chef for years. Am I the only one that's amazed that you can go that many days without washing your hair? I'd be a greasy mess! I own a ground meat chopper too. Mine was purchased a few years ago from Pampered Chef. We us it all the time on our meat. Love how it works! Made a special trip to the mall today after work. Passed through Nordstrom but didn't buy a thing because I was on a MISSION to buy that meat chopper...ha! It was 20% off too! Cannot wait to use it, I'm so excited!! Thank you Erika! Gossip Girl is like Gilmore Girls- I can watch it over and over and never get tired of it. It's fun to see so many of the places where they filmed Gossip Girl in NYC. The Lotte New York Place Hotel is the Palace where Serena, the Van der Woodsens and home to Chuck lived. They use to have a Gossip Girl tour but not sure if they still do in NYC. I love all the clothes Serena and Blair wear in the show.